So what’s new with you? We’ve been keeping the bunsens burning down here in the Labs, and have some new experiments we’re sharing, and about to share, and some things which will unfortunately just remain hypotheses for the moment. We had a really great time during the Maximum Ames Music Festival. So much fun. 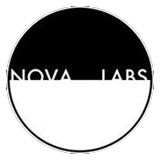 A lot of our artists played the Fest, which was great, and we were even given a Saturday night of the festival to curate, our very own Nova Labs Showcase! During the fest, Trigger-Fish launched their new EP, “True/False,” upon the public, and we are already sold out of it (not to worry, more will be made this week). They launched their EP at the launch of the Iowa Music Store, a joint venture (as the bizness folks say) between Nova Labs and the fine folks at Maximum Ames Records. This store, down on Main Street in Ames, is a very cool thing. You can buy releases from both labels, along with any Iowa music and art we can manage to get our hands on and cram in there. There’s shirts, posters, zines, and records all over the place. It also serves as an all ages, DIY venue, which is how Trigger-Fish ended up playing there. Doctor Murdock played a show there as well during the fest (and sold out THEIR CD TOO, maaaaaaaaaan…but, again, more made soon). And many more in the upcoming months as well. The Store is getting its sea legs right now, but is off to a helluva bang. Thanks for all the support. It means the world to us. It’s why we do what we do. So what’s coming up? Well, we just moved to expand the label by getting a dedicated CD printer. This thing is amazing. It prints super fast, and has a robot inside of it, pitching discs like crazy. And we’re gearing up for our next release show at the end of October, which will feature some pretty sweet releases…more on those soon. And other things as well. Like…our first publishing venture? Huh?